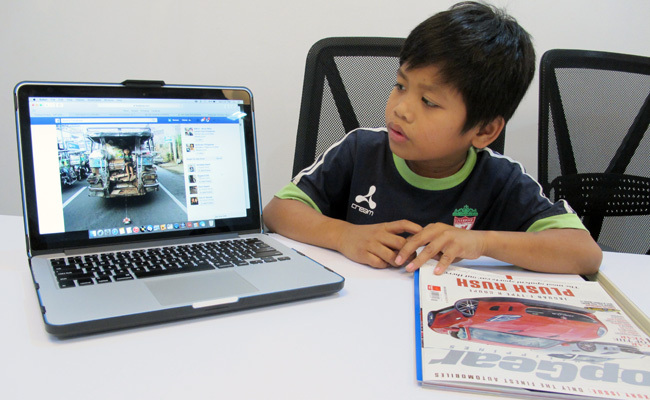 The boy you see here is Chester Pasumbal, a nine-year-old kid whose photo recently became viral online. Last December 26, we posted a photo on our Facebook page, showing a boy at the back of a dilapidated jeepney pulling a toy car by a string. The image was so powerful that the picture got more than 37,000 likes and was shared more than 1,700 times. One person even commented that it was "the best picture Top Gear has posted." And then we got a message from Janine Elizabeth Servañez Fundamiera, who told us she knew how to get in touch with the boy in the photo. To cut a long story short, she hooked us up not only with the boy (Chester), but also with the person who took and sent us the moving photo, Vincent John Rosales. Both Chester and Vincent live in Lipa, Batangas. 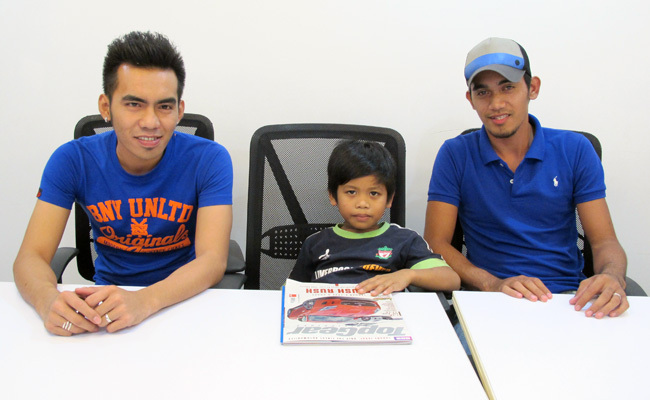 They met us on January 10 in our office, together with Chester's guardian, Jonas Ian Hica. Chester came with a guardian because his father had died in a motorcycle accident when he was small. His mother, meanwhile, had remarried and left him in the care of his father's relatives (Jonas is the cousin of Chester's father). Jonas's family owns a junk shop. On the day the viral photo was taken, Chester was accompanying Jonas's father in transporting some bric-a-brac. 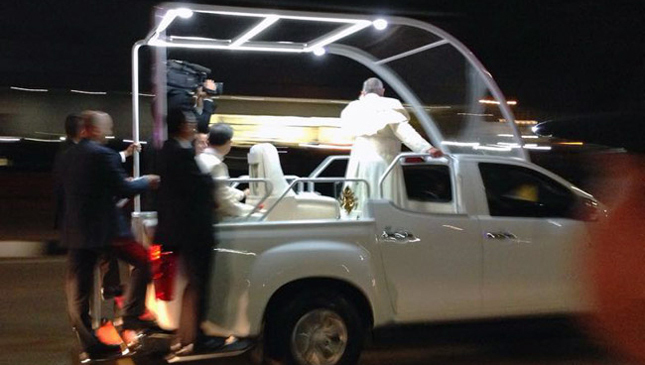 Vincent saw him at the back of the jeepney and snapped away. Anyway, we just thought of giving Chester some nicer toy cars to play with. 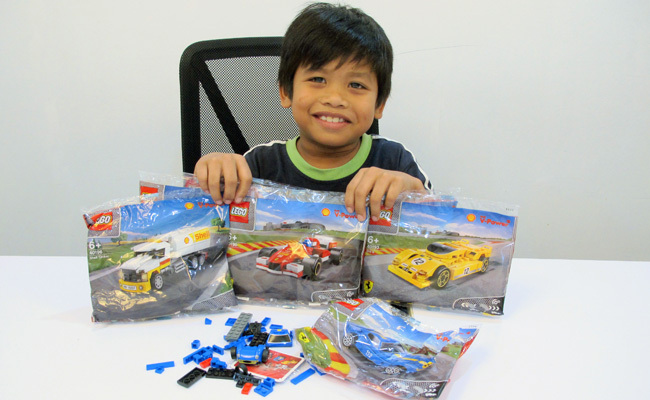 We gave him a set of Shell Philippines' latest Lego Ferrari collection. Shell had generously provided us with seven sets of this collection to be raffled to our readers. We had given away five in a caption contest, so we had two more sets. The remaining two were supposed to be put up as prizes in a simple Facebook contest, but then we felt Chester should have one set instead. We're sure the guys at Shell Philippines wouldn't mind. 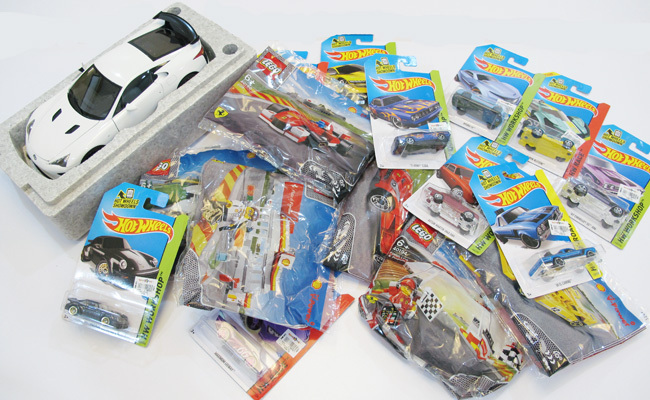 We also let Chester have 10 Hot Wheels 1:64 die-cast cars, which we bought last Christmas for no other reason than to distribute them to children. For some reason, we weren't able to hand them out, so they must have really been meant for Chester. Finally, we presented Chester with a collectible toy even adults would love to have: a 1:18-scale Lexus LFA by AUTOart, which had been given by Lexus Manila to our boss Lisa Gokongwei-Cheng in February last year after she had cut the ribbon at Lexus's boutique store in Robinsons Magnolia. 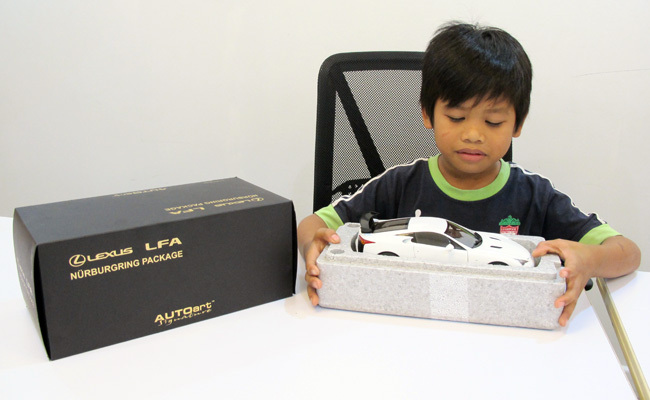 Our boss has two young sons, but she didn't want to give the die-cast LFA to them because she felt it was too expensive and valuable for her kids (yes, she is that humble and frugal). She told us to give it away to a reader. We were meaning to run a contest on the occasion of our Facebook page reaching a million likes, but then weren't able to do so. Turns out this, too, belonged to a boy named Chester. We can only hope we have been able to make a boy happy. 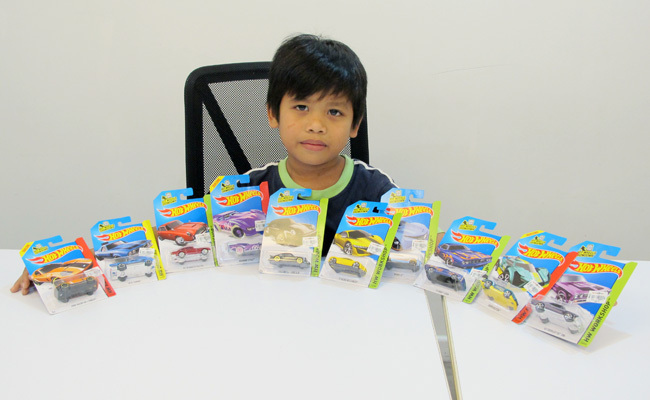 We know these are just simple toy cars, but hopefully Chester can draw inspiration from them to do well in life. As for us, it was a real blessing just getting to meet a kid who showed us the meaning of contentment.